For many wanna-be bicycle travelers, the only thing holding them back from actually taking the leap and exploring the world by bike is the fact that they can’t find anyone to go with them. Most people don’t want to be alone for months on end as they cycle across cities, states, and countries… so finding a riding partner is an important part of making many people’s bicycle touring dreams come true. Unfortunately, finding a riding partner is not always easy! As far as I can tell, there are four main reasons finding a riding partner can be quite difficult. First of all, you have to find someone who knows what bicycle touring is. 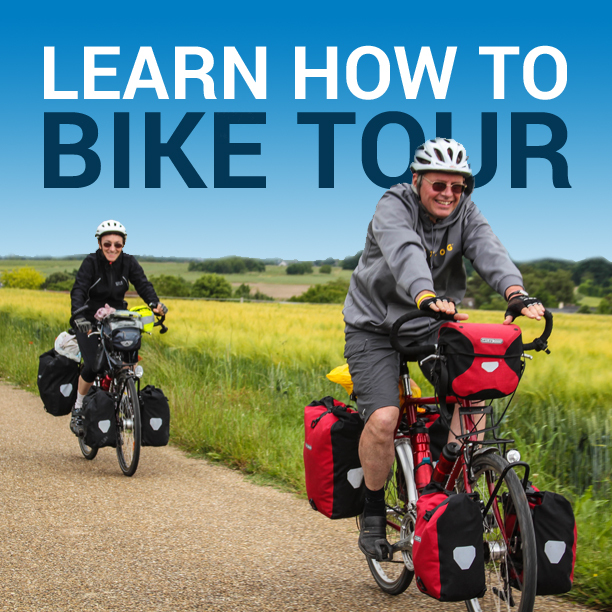 If they don’t know anything about bicycle touring, you need to educate them and make sure that they are on the same or similar level as you once you do get out on the road and start your tour. Secondly, you need to find someone who can get away from his or her family, friends, and work for an extended period of time. Whether you are planning to spend one week or one year on the road, you need to find someone who can take that same amount of time out of his or her schedule. Thirdly, you need to find someone you can get along with. If you are planning an extended tour where you will be on the road for months on end, finding a compatible riding partner is extremely important. You are going to be spending a lot of time with this person, so you need to make sure he or she isn’t going to drive you crazy. Finally, you need to find someone that wants to go to the same place(s) you want to go. Often times you will find someone interested in bicycle touring, but when they hear where you want to go, they have dreams of traveling someplace else. So what happens if after months of searching you can’t find a riding partner? 1. To start, you can cancel your tour. Sadly, this is what a lot of people do. They are afraid to travel alone and rather than go out on their own, they cancel their plans and their bicycle touring dreams never becomes a reality. 2. Rather than cancel your tour, you might consider joining a guided tour. 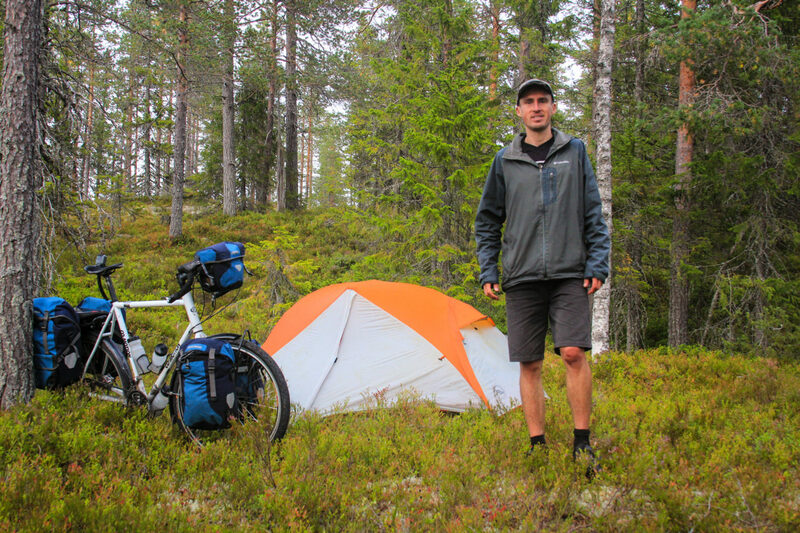 There are a number of bicycle touring companies all over the world. Whether you want to cycle across America, explore the Brazilian rainforests, or roll along the hills of Tuscany, you can likely find a tour to suit your needs. Cycling with a guided tour group may mean that you have to make some sacrifices to your planned itinerary, and you may be forced to travel with people you would not normally choose to hang out with, but a guided tour is certainly a better option than sitting at home and wishing you were out on the road. 3. Finally, if you are unable to find a riding partner for your bicycle tour, you can always go by yourself. It might be scary at first to think that you will be completely alone for days, weeks, or months on end, but once you get used to it, you’ll begin to have a lot of fun. You’ll meet some incredible people along the way and you’ll be glad that you didn’t stay at home just because you couldn’t find an appropriate riding partner. This entry was posted in Bicycle Touring Pro Articles, Featured How-To Articles, Main Articles, Planning and tagged bicycle spouse, bicycle touring, bicycle touring husband, bicycle touring partner, bicycle touring wife, bike travel, cycling partner, how to find a bicycle touring partner. Touring by yourself is not as bad as it seems. But, the best way is to join a local club who will probably be organising tours. Do test tours. Whether going out alone or with a partner, do an overnight or weekend ride to weigh out your solo-confidence or compatibility with your partner. There’s nothing worse than getting out there on a committing trip and realizing things just aren’t working out. My first bike tour at 16 was a remote and long one and I was riding completely alone. I do that till to this day, haven’t had a bad day. Finding a companion to ride with is not easy, you have to be on the same wave with that person. Touring with a person you don’t know much about is not bad for a couple of weeks or a little more, but it’s just a matter of chance there- will you get along or not. At the same time, riding alone is not easy either. But for me it was just “No one’s riding with me, guys? Okay then, gonna go alone.” Being for weeks on the road seeing just yourself and some random people around is hard but riding more popular routes it’s not a rarity to find someone you can share the road with. Just about anybody who’s touring just like you. You don’t even need to be friends, just be travel companions for a certain stretch. Anyway, even though I advocate riding alone, somewhere deep inside me I know that riding with another person is the best. Just 2 on the road, NO more. The feeling of being alone in the middle of nowhere and being free is irreplaceable but so is the feeling being in a convoy (with another person.) Being with someone makes you feel a little bit more relaxed, feels safer and brings a little more fun. It’s also easier to withstand being in the middle of a different culture and language. On the other hand, being alone means making friends/interacting with people on the road is possible (I would say that riding two together and it’s already pretty impossible), much easier to ask for a shelter/or any other help etc etc it also makes you stronger and helps finding your own self. I don’t know, that’s just my contemplation I feel I’d contribute. My advice- don’t chicken out if you can’t find people, go alone but be sure you’re prepared for it. You won’t regret this decision. The feeling is amazing. Someone needs to make a website for finding cycling partners. I mean, there are quite a few sites for normal travelling such as travbuddy, travelfriend, mangotree, and there is even a dating site for singles. There is no specific site for solo cyclists looking to ride together! Hi there, my name is Sally and I am a 25 year old female from melb, Australia and I am planning to cycle around eastern Europe starting late June 2012. At the moment it looks like I’m flying solo but I’d prefer to have a buddy to travel with so I just thought I’d put it out there and see if anybody is interested? My plans are pretty loose at the moment, just in the brain storming stage..
Oh I forgot to put up my email, it is sallywemyss@gmail.com. Email me if you’re keen! There is a dating/activty site called bikingsingles.com. (I’m not recommending it, just reporting that it exists). Also, people seem to have some success finding partners in the Adventure Cycling Association magazine and website. Oops, got the name wrong: cyclingsingles.com. it’s called. i agree cycling alone not only makes u strong but also helps you to find your inner self. i am 66 years old a retired army officer and last year i cycled alone 2360km in 21 days. though i could not find any partner.now also i am planning for a long distance cycling in near future. To find riding/touring partners check out https://www.crazyguyonabike.com & search for riding partner wanted. You’ll not only find information about your trip such as destination, trip length, riding style, you can also find out some general information about your prospective riding partner. There is also lots of good information regarding problems, benefits & things to watch out for. Eurovelo 6 starting May 1 2014 — anyone out there up for it — 50mls +/- per day 56 days +/- no camping only using Hotels/Hostels/B&Bs (bus shelters if necessary) I have the German official route Maps. I am an experienced long distance Cycle Tourer /Sustrans Volunteer Ranger/CTC Cycle maintenance course qualified a bit long in the tooth but very young at heart. Male or Female welcome. Im a bit late for all the offers to cycle around Europe, I’m planning to do it in a few months, if anyones interested email me at osato6@hotmail.com. I don’t have any specific plans about my route or how long.